*praise hands* ← totally the position I’m in. Because after finishing Just Like That, bar getting down on my knees in front of Nicola and thanking her for writing this book, which can’t happen since we have an ocean separating us, the praise hands will have to do. I’m IN AWE guys. 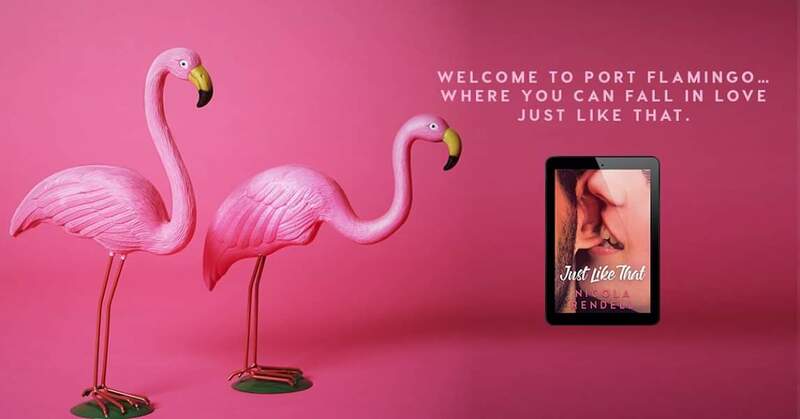 Just Like That is Nicola’s best book to date. Her best writing. Her best story. Her best characters. Everything. THE BEST. I just. GAH! This book is raw, captivating, utterly addictive and just full of feels and swoon. A signature sign, I’ve come to realise, when reading Nicola’s work, is how funny she is. That easy, laid back kinda funny. That funny, that’s relatable and sincere. That funny that leaves you breathless because a one liner hits at the most PERFECT time. Or that crazy situation the characters find themselves in, is so true to life it makes you howl. Literally, SO many times in this book I laughed out loud or lost it with uncontrollable giggles. Everything was just so infectious, a book that can make you smile as big as I did while reading is a total winner!!! The real winners of this book though have to be Russ and Penny. First off. HOLY HOT DAMN. Nicola writes her scenes so, SO, well. With just the perfect amount of heat and passion, the connection between Russ and Penny was other worldly. Secondly, Penny! Omg, what a darling. LITERALLY. She was so cute, sassy, adorable and hilarious! Thirdly, last but not least, RUSS MACKLIN. OH MY GOSH! This man. Where can I find one. Honestly? Because he was freaking PER-FECT. I just, don’t have the right words to describe him. I mean, he’s really spectacular. An Intense, hot, dirty ALPHA. But also a gentlemen. And SWOON should be his middle name because it’s all I did over him. I just couldn’t get enough. I actually never wanted this book to end. Ever. This is romantic comedy at its finest people. Littered with just the right amount of emotion to add that extra little spark to the characters and the depth to the story. I’m amazed at how Nicola’s writing just goes from strength to strength. Amazed at it all. 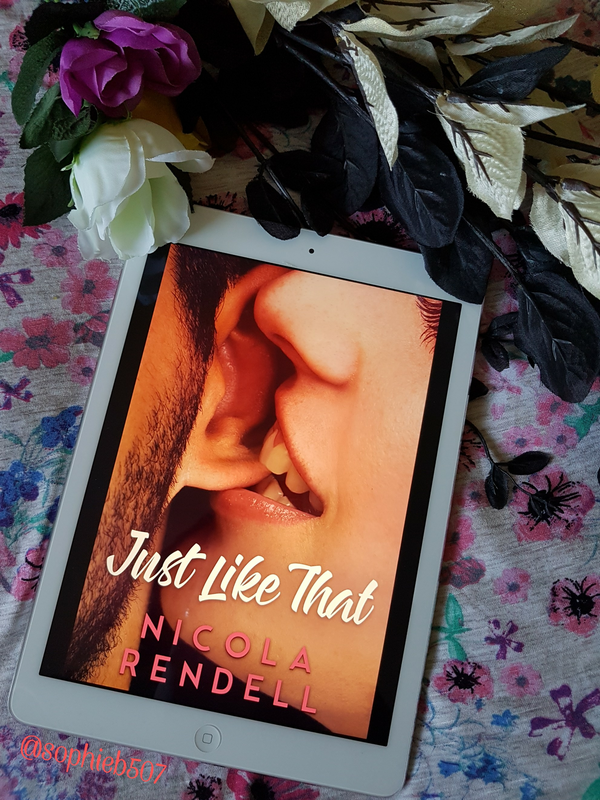 If you want a book that’s refreshing, funny, packed with crazy heat and passionate love then look no further than Just Like That by Nicola Rendell.